TEAM has worked with a number of insurance companies over the years and the advantages of content-enabling these enterprises are numerous. Many insurance organizations have grown through acquisition with the end result of having multiple parallel systems in place and a lot of complexity integrating them. This makes them ideal for deployment of SOA/BPM as an integration methodology and adding content and records management to this is a no-brainer (as the insurance industry is so document and record-driven). 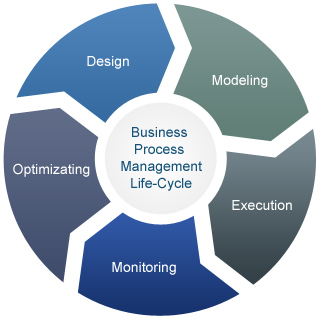 Last year, Oracle published a white paper (link) on how best to use their BPM (business process management) tools in an insurance industry setting. I won’t restate all their reasons as to why the Oracle solution is a good fit – but suffice to say that the Oracle insurance business unit has a lot of experience in the area and solutions to meet the needs. However, what was missing from the white paper was the value and flexibility gained by adding WebCenter Content, Records, and Imaging to the mix – integrations on which TEAM is currently working with a number of customers. These integrations allow for secure upload of files from agents’ offices, scanning and uploading of paper forms and documents (using capture and distributed capture), migrating legacy images from mainframe systems to modern Oracle WebCenter Content systems, and users (for the first time) to truly search and retrieve content based on metadata and full text searches. What TEAM brings to the table is experience and knowledge of content-enabling these processes to provide the best user experience internally and externally, while meeting all security, retention, and legal requirements. This goes above and beyond the (with the greatest respect) “plumbing” of the solution and brings the experience of multiple deployments, case studies, and challenges to the table. Most clients will only deploy these solutions once or twice in their career – we do this every day, and have been for over 14 years. If you are an insurance company (or in a related business), are looking for guidance and assistance in deploying Oracle BPM and SOA within your organization, and want the specialized input of an Oracle Gold partner, please get in touch. We would be happy to discuss our long experience in the field and how we can get your systems fully content-enabled – meeting the challenges of making information available where and when it is needed while meeting all security and legal requirements. This entry was posted on Tuesday, March 26th, 2013 at 11:53 am and is filed under Oracle, Records, WebCenter Content. You can follow any responses to this entry through the RSS 2.0 feed. You can leave a response, or trackback from your own site.